This presentation by culture expert and artist Garret Kam to be held on 21 December at 5.30PM at SEA Junction will describe the spectacular rituals used by Hindu-Buddhist Balinese in Indonesia to cremate their dead and set them free from worldly ties. The speaker will use photo images and videos to describe the complex ceremonies including the use of funeral effigies. 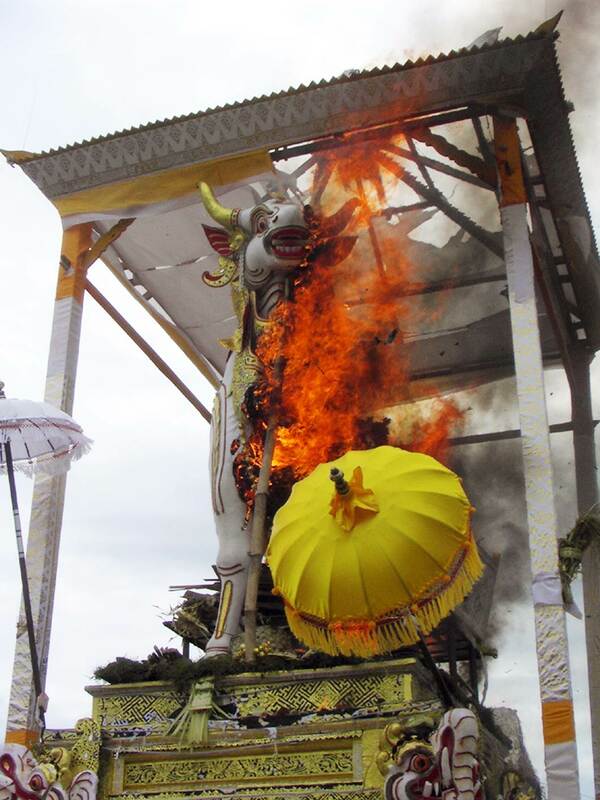 Similarities and differences with cremation rites in Thailand will also be discussed. A lecture on the same topic was recently given at the Siam Society and is being presented at SEA Junction to reach a wider and different audience. Garrett Kam received his bachelor and master degrees from the University of Hawaii. He has been living in Bali since 1987 and became a ritual assistant in 1990 at Pura Samuan Tiga (Temple of the Tripartite Meeting), one of Bali’s most important temples, the first and only foreigner allowed to do so. In addition to blessing worshipers and bearing sacred objects, Garrett also helps in the preparation of offerings. As a Fulbright grantee he researched Balinese temporary art, especially objects burned for cremations. Garrett has given many lecture-demonstrations and dance performances throughout Southeast and East Asia and the USA, and is the author of “Ramayana in the Arts of Asia” as well as many books and essays on Balinese and Indonesian art for exhibitions that he curated. He is currently in Thailand to teach Javanese court dance at Chulalongkorn University. Event free, donations most welcome!